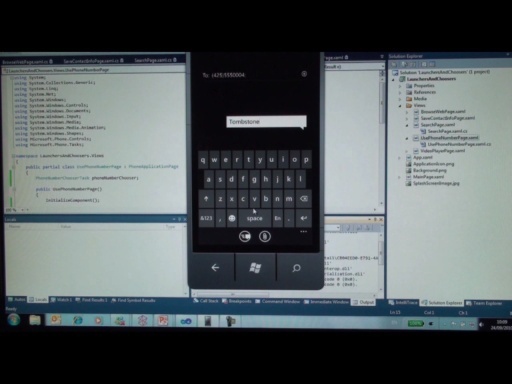 Anil Dhawan, a Program Manager in the Windows Mobile group, provides a look at Bluetooth programming on Windows Mobile devices and shows remote control of PowerPoint from a Smartphone using Bluetooth. Mike Hall is the interviewer and camera guy. Are there any resources for using bluetooth within .NET? I'd love to play around with that code-- is there somewhere you can post it? Nice video, is it possible to transform my smartphone to a Remote Car Starter? Great video, just a couple of questions though. First, is there many Pocket PC devices in the wild that use Microsoft's bluetooth stack? Last time I checked most devices used Widcomm's software as yours was unfinished. Second, how do the two compare on the desktop and devices? Is there anwhere I can see a comparison of supported profiles or can you just tell me? I would love to develop using Microsoft's stack as Widcomm's locked me into eVC++ and was damn expensive. And don't get me started on the documentation. which controls PowerPoint or any other "foreground" application from the SmartPhone. The difference would be that the code I've got is C# .NET code rather than embedded C++ although there's a little bit of managed C++ in there as well. The application's there for download as is the source code. 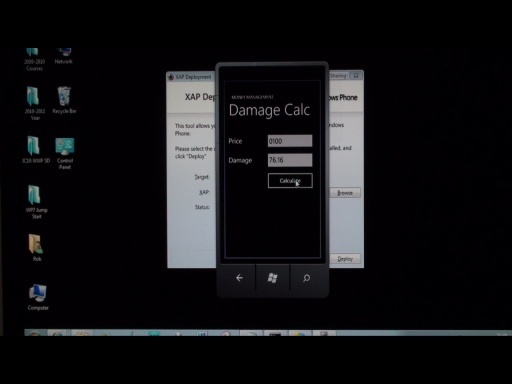 The MS stack is more common on Smartphones and a number of the newer Pocket PC Phone Edition devices. However the big players in the traditional Pocket PC space - HP, Dell etc use Widcomm. Thanks for the info Peter. Any idea if and when the Microsoft stack will support OBEX? I should have been clearer ObjectPush is OBEX. There are two OBEX profiles in the Bluetooth specification - ObjectPush which is used to send a file to another device - used to send a contact for example. The other is OBEX FTP where the device can host an FTP style filestore which other devices can browse and download from. This is available in the Bluetooth modules for CE.NET 4.2 but not included in Windows Mobile. You can host your own OBEX FTP service if you process the appropriate OBEX headers e.g. using a BluetoothListener. The Widcomm stack has support for this profile and offers both the ability to share files in this way and a browser application to view files on a remote device. Sorry Peter, the fault lies with me. I am aware that ObjectPush is OBEX but what I meant was browsing of other devices so that transfers can be initiateed at the recievers end ie. OBEX FTP. I just have a project that I worked on using Widcomm's stack utilizing this feature but I'd like to port it over to managed code. From what you've said I assume this isn't possible yet. Any idea if the stack will be extended to facilitate this? Great movie/demo . I always found bluetooth cool (as well as other wireless protocols). 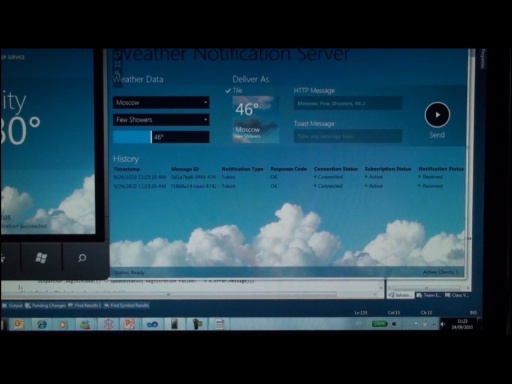 I just need to get me a windows enabled phone so I can write some apps for it! Anyone know any (cheap ;p, yeah I'm a student) windows enables phones in Holland? It is possible to implement an OBEX FTP service in managed code on the Microsoft stack. In testing I was able to receive and respond to connection requests, what I haven't done though is wrapped all the OBEX commands, but they are documented in the Bluetooth spec. I played around with building this sort of an app, but I can't get the bluetooth to work on the desktop side. Does anyone want to recommend a good usb bluetooth adapter compatible with XP SP2's bluetooth stack? I would reccomend the D-Link adaptor, v small and seems to work well for me and my obex app! There are only a few bluetooth chipset manufacturers (each with their own driver) so it is strange that your dongle is not supported by windows natively. 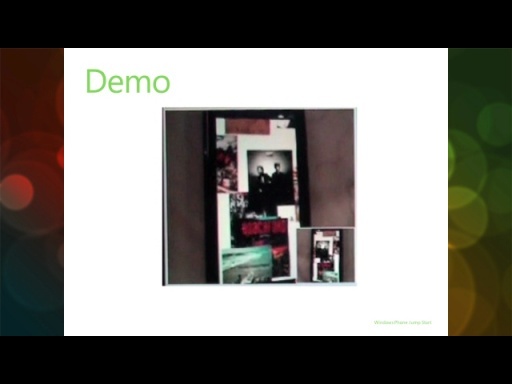 Can you please post C++ code you were showing in your demo? I am interested in getting the c++ code.. Can somebody please post the code which Anil showed in his demo (c++) version? By the way, looking at Anil's code: - is anyone out there who would know how to simulate a LONG press of the "Hook Up" (VK_F3) key on the Smartphone, so that the Speakerphone gets started? keybd_event() is OK to take the hook off, but it won't launch speakerphone mode. Is there some other way to programmatically activate Speakerphone mode? I'm writing an app that enables the physically handicapped to operate a smartphone. Surely you can do this with keyb_event - just call it once with a key down modifer then wait a few seconds then call again with the key up modifier. Thanks Peter, but it does not work, i'f tried it with several modifiers. Which seems strange. Looking at the way the Keyboard drivers are implemented, even they rely on keybd_event. If one starts a KeyTracker program, the VK_F3 gives you nothing on pressing the key, but fires a KEYUP and a KEYDOWN on releasing it. If one holds it down LONG, it won't give you anything at all, unless a call is active. In that case, it launches Speakerphone mode. I have asked this question so many time. But this forum is very slow. I will repeat my request again. 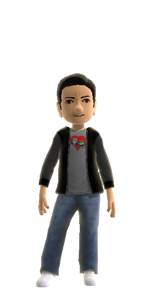 Can somebody post the VC++ code and the c# version of the same code? Did you manage to get the code? If so can I have it? I haven't received the code and I am still waiting. I sent an email to Anil Dhawan and did not get any reply either. can you please point me some online tutorial/manual or some literature that can help me with bluetooth programming ? I'm a newbie to Windows Mobile programming so any hints or recommendations will be appreciated. Including source (C#), sample projects, class documentation. It also closely follows the IrDa classes in .NETCF so should be easy to pickup. It'll work on XP or Windows CE/ Windows Mobile so long as you are using the Microsoft stack (not from a third-party such as Broadcom). Absolutely! 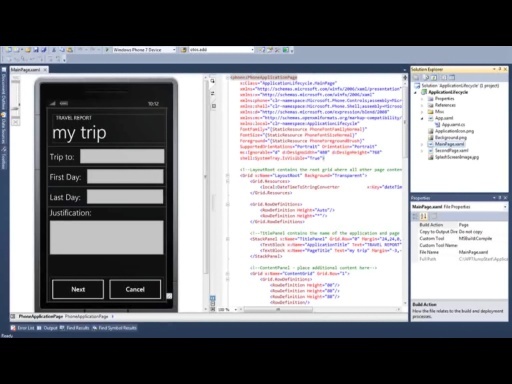 Check out the Windows Embedded Source Tools for Bluetooth Technology available at: https://msdn.microsoft.com/embedded/usewinemb/ce/sharedsrccode/west/default.aspx . If you are interested in learning more about Bluetooth on Windows Mobile, swing by my blog at: https://blogs.msdn.com/anil_dhawan . Is there a way to register a Bluetooth service on a SmartPhone? Where is a good source of information for a developer who wants to develop at a lower level using Bluetooth on WM5? I am actually working on a project that detects when a paired BT device is NOT in range and I am getting seriously stuck and having a difficult time finding viable resources. I saw this video for creating bluetooth applications. It's very nice. I have couple of questions which are different from your sample. I have a simple requirement in Windows Mobile(Pocket PC 4.x, 5.x) Bluetooth. The aim is to find if a paired bluetooth device is nearby(within range). I thought I could write a simple Winsock application to do it. Basically do a service discovery. But the problem is the Querry set gives me only the name in "lpszServiceInstanceName". I would like to get the Mac id (uniqure bluetooth id) for the device I discovered. 1. Could you please let me know how I can get it?. 2. If I know the mach id of the paired device (I can get it from the registry), How can I directly inquire if this device is deiscoverable or not? This is to avoid SDP. Note : I don't have a connection to this device. I just have a pairing. So i won't be able to use winsock "connect" calls since they require a port (channel 1 -32) or Service specific UUID. I don't have both since I am just trying to find if a paired device is within range. 3. Another "MAJOR" problem is Some(lot ) of the Windows Mobile CE devices come with "Widcomm" stack. These don't support WinSock or other windows APIs. What can I do here? 1.- The "Server side" or the laptop side of the app is a service waiting for signals sent by the bt smartphone? or a simple wile(true) kind of code? 2.- I dont have a smart phone, but i do have a Pocket PC, BUT it has windows Mobile 2003 se, i guess Serial ports programming should work aswell on my device...that wrapper for bluetooth programming that you made its ONLY for WM 5.0? 3.- is there a bluetooth api for windows mobile 2003 that i could use, or i should just stay with com ports?, plus i dont think my Dell Axim X50 runs windows bluetooth stack to use openetCF. well guys, i have been looking at the video over and over again to understand how the source was written, and i made my own version of it, and thank good it works,, so here it goes for the people who have been asking for it. eVC++ 4.0 SP2 + windows mobile 2003 sdk running on Pocket PC Dell Axim X50. Visual Studio 2005 (c++) running on my laptop with a bluetooth dongle. I'd also like to know how all the classes work together. I have been looking at the code for days and got nothing. In that video, Anil creates an object called btsCore of type Core. He uses the namespace "BluetoothSystem" which I cannot find anywhere. The methods he uses are similar to those at the Windows Embedded Source Tools for Bluetooth technology (https://msdn.microsoft.com/embedded/usewinemb/ce/sharedsrccode/west/default.aspx ) but they aren't the same. All I want to be able to do is establish a simple connection using the SPP to transfer some data using C#, thats all, nothing more. Everyone seems to ask for help on forums and nobody ever seems to get any. Anil, if you can read this, please point us in the right direction...you seem to be the only soul out there who knows anything about this topic. I would GREATLY appreciate it. Does anyone know why the shared source class BluetoothEndPoint takes in a 8 byte Bluetooth address? A BT address is only 6 bytes long! I totally recommend you to use 32feet.net wrapper for programming over bluetooth, i have been trying the other libraries and none of them are as simple as this one, oh also opennetcf its good. i am also frustrated about finding bluetooth programming help, Anil seems to be too busy to answer questions even when in most videos he advertises channel9 to be a place in where you get to talk to him. I'd assume that they do realize the BT address is only 6 bytes, so those extra 2 must do something! It's frusterating to troubleshoot this type of stuff when there's not enough documentaion. maybe you know, In the BluetoothEndpoint class, when you create a socket and you pass the BT address and GUID, does it need to use the serialize method and join the data? If so, the serialize function is screwed up too because of the 8 byte address. I tried looking for the documentation of the socketaddress to see if it was correct but I can't find anything. both apps using 32 feet lib, when you download the library there are many examples that come with the visual studio solution file (version 8, that is VS 2005). if you have more advanced questions talk to peter foot, he is the author for the 32feet lib, and he does replies to emails. I found some ppl on 32feet talking about using it with VS2005...I tried it out today and it works GREAT!!! These tools are wonderful, thanks for the info, which led me to continue this avenue! Mostly in C# on Mobile side, full C# on server side. Can you help me with some bluetooth questions? What is the difference between RFCOMM and SPP? How can you describe a bluetooth stack? If I program my application with widcomm I need to install widcomm, I can’t use a Microsoft stack.This is not a problem on a desktop because I can install MS of Widcomm but not on a PDA. Is this true? And why ? I really dont know what to do,because there is absolutely no information like code samples to develop bluetooth application for mobile 5.0 using vb.net/c#. My name is Adam and I am the one who posted the Tutorial 1 after the heading Tutorial 1 (probably created by microsoft) said coming soon for, I would say well over 6 months now. The reason this code does not work for you is as you mentioned you have the WIDCOMM stack and you are using it on Windows Desktop. The MicrosoftSharedSource for Bluetooth is designed for Windows Mobile 5.0 + and with a microsoft bluetooth stack. Firstly you can switch to the microsoft bluetooth stack on your desktop by uninstalling any WIDCOMM bluetooth stacks. (you should see it in the control panel add/remove programs) and ensuring you have XP SP2 or higher. I have to develop an application on Windows Mobile 2003 SE on a Dell PPC using CF.NET and Microsoft.WindowsMobile.SharedSource.Bluetooth. When a try to list the paired BT devices, I get the same problem than yumnakhan, Registry.ClosingKey() throw an exception. I am not sure of which BT stack is present (the BT controller is provided by Broadcom, maybe the stack too). It's strange because all the information I found on internet says the 'Microsoft.WindowsMobile.SharedSource' works for Windows Mobile. It is not the case for 2003 SE? I get the same CloseKey error. Using a Mobile2003 with Widcomm. Any way to fix it? Anyone gave a solution?